The "system" was created by an organic intelligence body many milleniums ago and began attacking the human race. The earth was thrown into turmoil with only one hope for salvation. 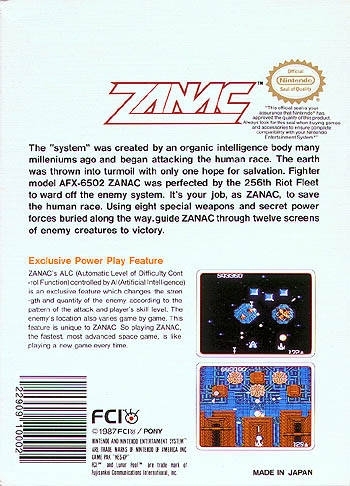 Fighter model AFX-6502 ZANAC was perfected by the 256th Riot Fleet to ward off the enemy system. It's your job, as ZANAC, to save the human race. 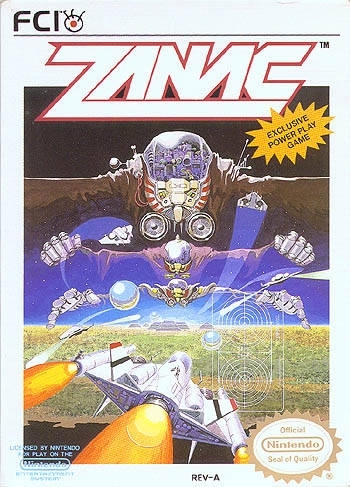 Using eight special weapons and secret power forces buried along the way, guide ZANAC through 12 screens of enemy creatures to victory.